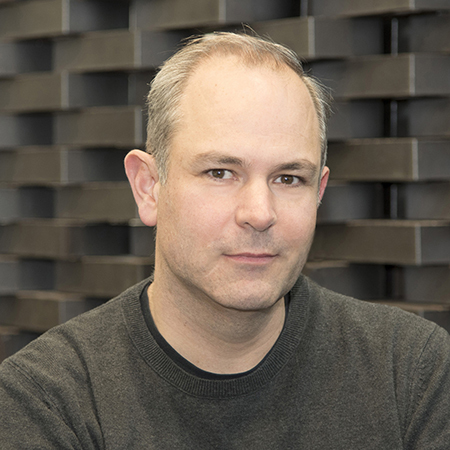 Russell Loveridge is managing director of the Swiss National Centre of Competence in Research (NCCR) in digital fabrication. He studied civil engineering and architecture, completed his professional degree in Toronto, his MAS diploma in architecture at the ETH Zurich, and obtained his doctorate at the EPF Lausanne Switzerland. He has worked professionally in construction and architecture, but also has extensive experience academics and was previously the research director at the Laboratory for Architectural Production (LAPA) at the EPFL. His research investigates advanced fabrication methods, smart materials, and novel construction techniques all with a specific interest on how these emerging technologies affect processes of design. Since its inception in 2014, Russell has been the managing director of the Swiss NCCR Digital Fabrication in Zurich. In this role, he and his team have developed one of the largest and most advanced multi-disciplinary research consortiums worldwide that specifically focus on researching the large scale interactions between information, materials, and processes with the goal of changing the way we design and build.